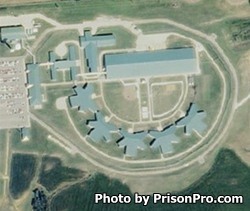 Chillicothe Correctional Center is located in Chillicothe Missouri. It is a mixed custody prison that houses approximately 1,640 female inmates. This facility operates a 256 bed substance abuse treatment program. While incarcerated, offenders can participate in educational and vocational programs that allow the inmate to earn a GED, adult basic education, and new work skills. You must submit a Missouri visitors application and be approved prior to attending a visiting session. Visiting is on Fridays, Saturdays and Sundays from 9:30am-1:30pm and from 2:30pm-6:30pm.